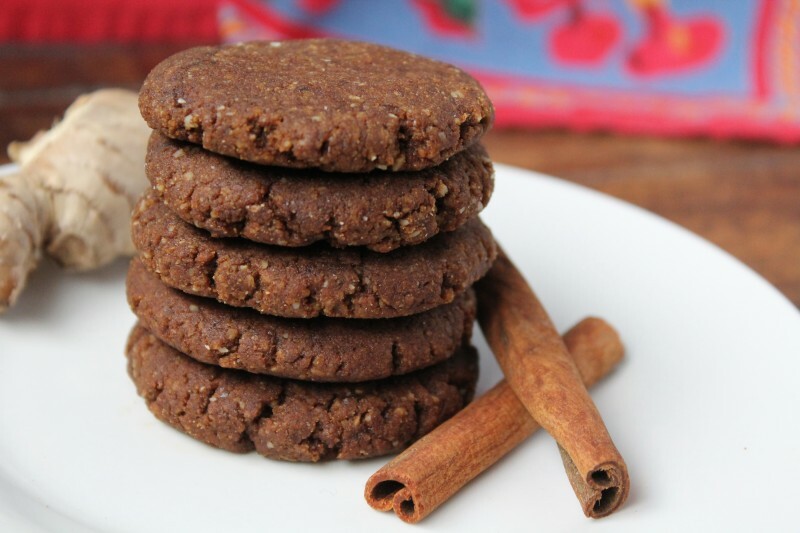 These ginger snap cookies are so tasty and they are paleo and vegan! They're the perfect healthier gluten free winter treat to enjoy with a hot cup of apple cider, hot cocoa or spiced tea. 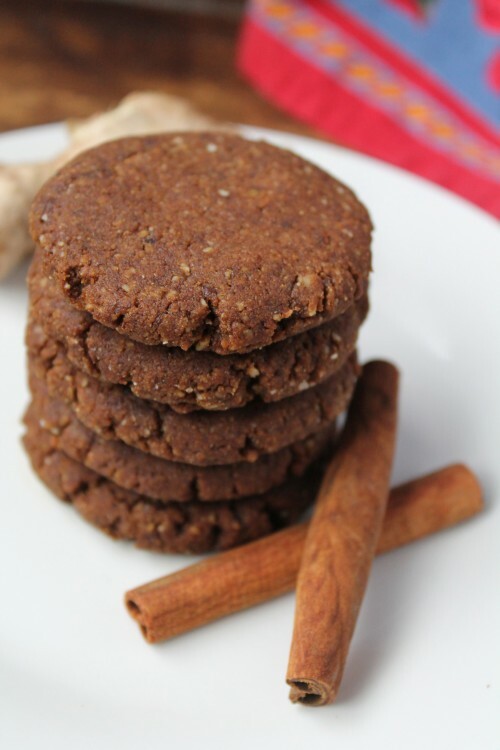 These ginger snap cookies are so tasty and they are paleo and vegan! They’re the perfect healthier gluten free winter treat to enjoy with a hot cup of apple cider, hot cocoa or spiced tea. These are made with a combination of almond flour and coconut flour since putting them together creates a great texture and flavor. 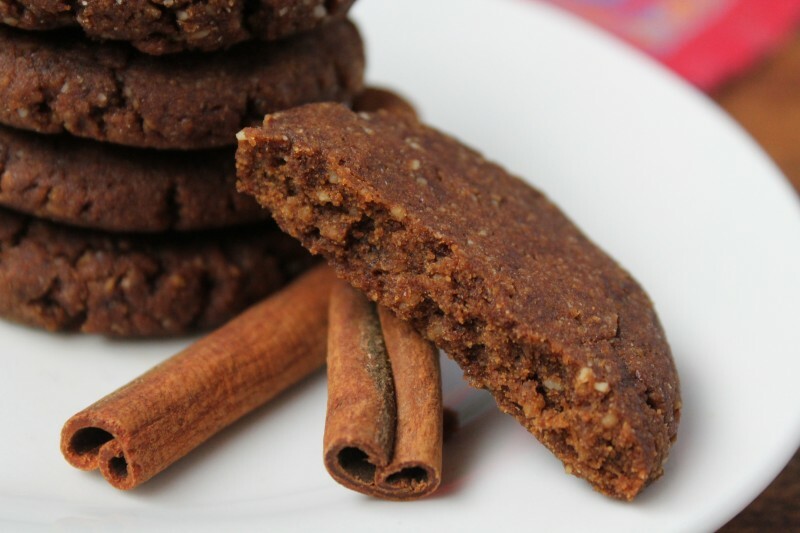 The added spices and molasses really brings out the holiday flavor just like gingerbread. Yum! *to grind the flax, use a coffee grinder like this one. Pre-heat the oven to 350°. If you want to make your own almond flour see my tutorial here. In a small separate bowl mix together the ground flax seeds and warm water and let sit until it thickens and gels. In a large mixing bowl or food processor mix together all the dry ingredients. Melt the coconut oil, then place it along with the flax mixture, into the bowl or food processor and mix well. The dough will be thick. Take a small bit of the dough and roll it into a ball then press down to make a cookie shape. Place it on a cookie sheet lined with parchment paper and repeat until all of the dough is gone. Bake at 350° for about 10-15 minutes. Let cool before serving. These are delicious! And the warm water is the real trick to gelling the flax. I’ve read somewhere else to put it in the fridge but I’ve never had it gel like it did with warm water for this recipe. Thank you! Oh, and I also used oat flour instead of almond because I had some made and they still turned out really yummy! 🙂 I posted a picture on Instagram, I would love to tag you if you have an account! My name is @jessieholder. These were delicious and had a terrific cookie texture. 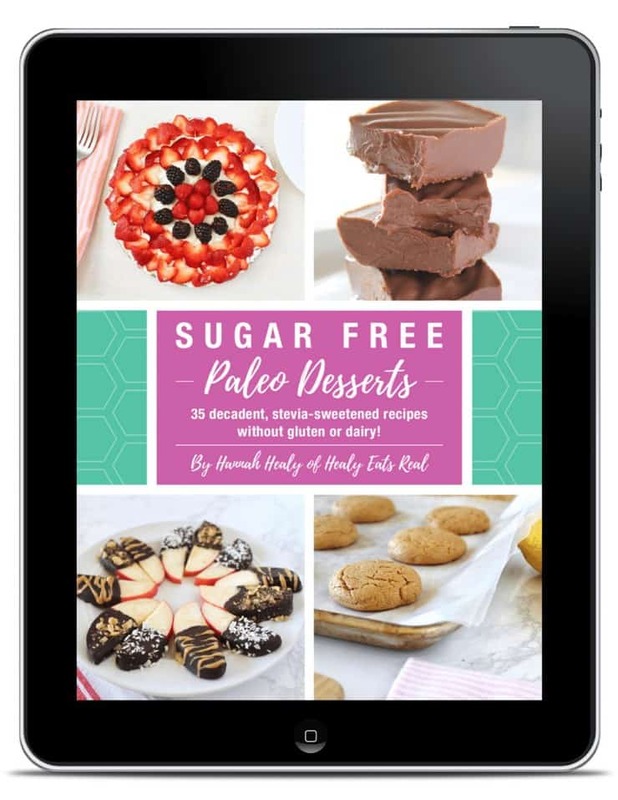 I am a Paleo newbie with only 4 months grain free. Even though I don’t generally eat dessert even before the change I do love tea in the colder months. The consistency was terrific. Great result with the blend of flours. Thank you thank you than you. These look delicious! 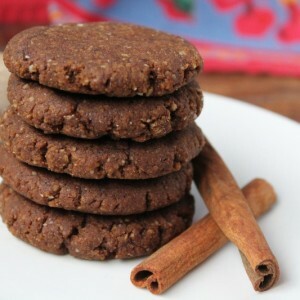 I’m looking for a recipe to make for a holiday cookie exchange party and wondered, are these crispy like traditional ginger snaps? Thank you for the lovely recipe! Is the flax needed for the consistency, like its being used as a flax egg?I typically don’t keep it on hand but have chia. Would that work? I can’t wait to try these. Ginger snaps are one of my very favorite cookies and I can’t remember the last time I had one. I usually just bypass Christmas cookies but I definitely plan to try this. Great! They’re super yummy. Enjoy! When do you add the molasses? 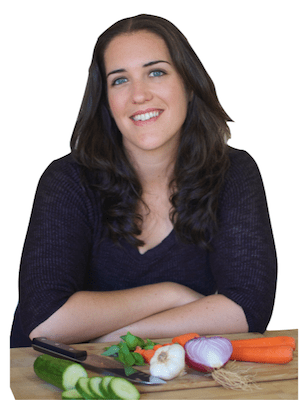 In the dry ingredients or with the coconut oil and flax?